Whether it be in-house or outside counsel, certain qualities are essential to the selection of an effective SIU attorney. You should, therefore, recognize that these qualities exist and look for them in any prospective counsel servicing fraud-related work. The creation of formal Special Investigation Units is a recent occurrence. Statutes mandating SIU departments have existed for only a few decades. Attorneys servicing insurance companies’ Special Investigation Units are likewise a recent development. Historically, outside counsel have serviced a broad array of legal needs for their insurance clientele. Within the insurance defense field, a firm or attorney often handled matters that included general liability, coverage, product liability and subrogation, among others. On occasion, an attorney might handle a smattering of SIU cases to supplement his or her general insurance defense practice. Over the years, the field of insurance defense has become more specialized. So, too, has SIU litigation. Not only have individual attorneys developed practices that specialize in SIU litigation, but now there are firms dedicated exclusively to servicing insurance companies’ Special Investigation Units. While some strides have been made, often in-house legal departments have not kept pace with this trend toward SIU specialization. Although there has been an increase in the amount of SIU work being channeled to insurers’ in-house legal departments, it is rare that in-house counsel handling these matters dedicate their practice exclusively to SIU cases. Frequently, in-house counsel have a number of responsibilities and areas of practice. In-house counsel often are required to handle caseloads involving several areas of the law, such as general liability, coverage, appeals and compliance. In-house legal departments have not yet developed the heightened level of specialization in insurance fraud litigation found in outside law firms. One reason for this lack of specialization may be that in-house legal departments are servicing a single client. There may not be enough volume of work from a given insurance carrier’s Special Investigation Unit to keep an in-house attorney busy. As a result, the in-house attorney is required to handle a variety of files involving different subjects. Some carriers have made efforts to develop an in-house legal staff that specializes in the area of fraud work; however, these efforts are a recent occurrence and the level of specialization is still evolving. Should SIU Work be Handled by a Generalist or a Specialist? As a consumer of legal services, each insurance carrier and Special Investigation Unit must ask how its legal interests will best be served. Will the use of a generalist (whether in-house or outside counsel) in the area of SIU-related cases further its interests? The answer is usually no. People are rarely good at everything. Baseball players do not play every position. Likewise, the qualities that make an attorney exceptional in one area of the law may make him or her ill-suited for another area. As an example, the qualities that make a good general liability counsel typically will not assist an attorney working on SIU-related matters. The central issue in most general liability automobile cases is the value of the claim. Most such cases are resolved by settlement. The proceedings usually do not involve issues as inflammatory as fraud. The aim during investigation and litigation of general liability matters, therefore, is to reduce the value of the claimed injury or injuries. The qualities needed by attorneys handling general liability cases (such as being a skilled mediator or negotiator) are not necessarily useful or desirable in insurance fraud litigation. SIU cases, by contrast, involve allegations of unethical and/or criminal conduct. SIU litigation involves an individual or individuals attempting to defraud an insurer. These cases are far more often tried than settled. The parties do not try to bridge their differences by an accommodation or settlement. Companies generally are unwilling to negotiate a settlement with an adversary participating in fraud. Accordingly, an effective SIU counsel requires a specialized skill set different from those possessed by an attorney handling automobile liability cases. Specialization leads to a number of positive results. First, an attorney that specializes in the area of SIU litigation has a greater working knowledge of the law and statutes relating to such cases. Second, and perhaps more importantly, SIU counsel has a greater understanding of the fact patterns involved in fraudulent schemes, thus making it easier to identify and assemble evidence of fraud. SIU counsel also has a stronger grasp of the quantum of evidence necessary to make a determination concerning coverage, and to defend that position at trial. Conversely, it is all too common that attorneys who are unfamiliar with SIU cases put forth a timid defense. Unfamiliarity with a given subject matter often breeds hesitation and reluctance in an attorney, which has a number of detrimental side effects to you as a client. Inexperienced counsel often are willing to advise their clients to pay claims that a more experienced attorney would recognize as warranting denial. In addition, less experienced counsel often recommend pursuing various avenues of fact gathering that are either unnecessary or unproductive. Further, counsel not specializing in this area often provide legal advice that is wanting. Such counsel will fail to make a clear and decisive recommendation to the SIU; rather, they will "hem and haw". This sort of "advice" does not provide the client, the SIU, with the appropriate legal guidance to make a decision regarding a given claim. Counsel that does not specialize in this area is likely to be unfamiliar with the viewpoints of the judiciary regarding fraud-related matters. Often, the fact finder in SIU cases is a judge, not a jury. It is essential to have knowledge of the judge hearing your case. Because he or she may be the fact finder, his or her outlook, biases and sympathies are critical to understanding how your defense will play at trial. While a generalist may have tried a number of liability cases in front of a particular judge, such matters provide little insight to a judge’s view on such issues as bad faith and a fraud defense. The only way this information is derived is by trying fraud-related cases in front of that particular judge. Working knowledge of a judge’s predisposition to insurance fraud cases is invaluable to you as a client. Finally, attorneys that practice SIU law on only a part-time basis usually are unfamiliar with the “players” involved. It is essential for your investigators to know the lawyers, medical providers and insureds/claimants involved in fraudulent schemes in your jurisdiction. So, too, it is helpful that your legal counsel have this knowledge. Quite frequently, counsel that specializes in the area of fraud-related cases can bring to the attention of his client a “player” that he has seen in other matters with other clients. We strongly recommend that whoever you use as legal counsel be a specialist in handling SIU cases. You potentially injure your investigation and the fruits that may be derived from it by entrusting your case to an attorney who is not an expert in the SIU field. Conversely, your investigation, and the information that it can develop, when aided by legal counsel proficient in this field typically is far more productive and useful. How do you find out if an attorney, law firm or in-house counsel has experience in SIU work? Ask them. You are the client and it is necessary for you to have confidence in the counsel you select. · Have you worked on SIU cases in the past? · What types of fraud-related cases have you worked on (property, casualty, ring activities, etc.)? · Have you conducted Examinations Under Oath? · Have you tried any cases? · Of the cases you have tried, were you primary counsel? · If not, for how many trials have you served as primary counsel? · Of the cases you have tried, how many involved SIU cases? · How many SIU cases have you tried to verdict? · What defenses have you typically interposed for your SIU clients? · Request a roster of other clients. · What organizations within the insurance fraud industry are you a member of? · Have you spoken or written on any topics related to insurance fraud litigation? As important as selecting a specialist is retaining legal counsel with the proper psychological outlook for SIU related matters. SIU counsel must be aggressive, proactive and persistent. SIU cases involve criminal conduct. The target of an investigation rarely confesses to his criminal activities. The investigation and defense of an SIU case cannot be premised upon the hope of eliciting a confession. Rather, the SIU, together with its counsel, must doggedly pursue the evidence of fraud. The environment in which these investigations are conducted often is hostile. Counsel must be able to stand up to belligerence and confrontation with the other side. Further, by their nature, these cases involve constant stonewalling by the insured, the claimant and their attorneys. Legal counsel must be able to relentlessly pursue the trail of evidence within the boundaries of the law. It does not serve your interests to have counsel that wilts under the pressure of confrontation or is willing to accept the stonewalling tactics employed by your adversary. It also is essential that your SIU counsel maintain a level of flexibility. 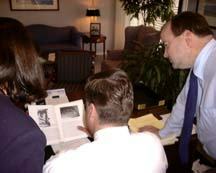 Your attorney must be experienced and mature enough to recognize that all investigations differ. The aim of a given investigation is to gather information necessary to make a coverage decision. Sometimes, such information may be garnered more effectively with honey than with vinegar. Accordingly, counsel must be flexible enough to employ different tactics in differing situations to effectively gather information. SIU litigation involves issues that, if handled incorrectly, can expose the insurer to bad faith damages and unwanted publicity. It is essential that your counsel operate within the appropriate boundaries of the law. As noted above, the atmosphere during such litigation can become quite combative. It is critical that your counsel be capable of operating effectively in such an environment. It is equally important that counsel does not go “over the top” and undertake any inappropriate actions on your behalf. We recommend that you watch your counsel in action to determine if his or her “style” and conduct comports with the philosophies and goals of your company. You may wish to attend an examination under oath or trial conducted by your counsel to satisfy yourself that he or she is comporting himself or herself in an appropriate manner. Overzealousness by your attorneys can be just as dangerous as passivity. Further, improper tactics employed by counsel, as your representative, can have dire consequences, including unwanted publicity or legal damages. The body of law surrounding issues related to SIU cases is expanding on a daily basis. Important decisions are changing the legal precedents governing insurance fraud cases. It is imperative that your counsel be current on the expanding and ever changing law that relates to SIU litigation. That being said, the body of law employed in SIU litigation is not rocket science. It is critical that your counsel have an understanding not only of the case law, but also that he or she possess the street smarts and savvy to assist the insurer during an investigation. The facts usually dictate the success of a case. Your attorney must have the street smarts to recognize a fraudulent scheme and to know how and where to gather the evidence necessary to defend the case at trial. Street smarts are something you either have or you don’t. They are not taught in law schools or gained by handling a few SIU cases. They are what makes an SIU investigator effective, and also can greatly assist the SIU counsel who possesses them. We recommend that you size up your counsel to determine if he or she has the type of common sense and street smarts to recognize fraud. As the client, you should demand a level of service that is exceptional. 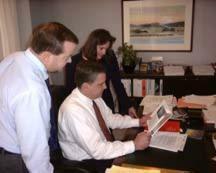 It is important that your counsel answer your questions and fulfill your legal needs in a complete and timely manner. There are a number of reasons why it is vital to have legal counsel that is highly responsive. Fraud investigations are often a race against time. Over time, evidence can be lost or destroyed and witnesses’ memories can fade. It is essential that counsel jump into an investigation upon receipt of the assignment. Attorneys that take weeks or months to acknowledge a file and schedule an Examination Under Oath are not serving your interests. This wasted time imperils your investigation. Further, the longer an investigation drags on, the greater the risk that the insurer will be seen as engaging in unnecessary delay, unfair claims handling practices or bad faith. Your counsel’s actions should not contribute to these potential pitfalls. The nature of SIU investigations demands quick action and prompt responses from legal counsel. Make sure the attorneys you retain maintain the level of communication and timely action that is essential in these cases. 4. The insurer will minimize its risk of exposure to extra-contractual liability and/or unwanted publicity due to the improper handling of a file. Accordingly, the utmost care should be taken in selecting counsel to ensure the specialized needs of the SIU will be met.